An Afternoon Tea by Federico Andreotti (1847-1930). Comedy is a genre focused on pleasure. From the time of the Greeks, it has invited us to engage in the communal pleasure of laughing with others, as well as the sharper, and sometimes darker, pleasure of laughing at the expense of something or someone else. But no comedy in history has been as concerned with the issue of pleasure itself as Oscar Wilde’s The Importance of Being Earnest—a subject to which it is more devoted than Gwendolen Fairfax is to bread and butter and certainly far more than Jack Worthing is to Gwendolen. Everything that happens in this play turns on the question of pleasure, as one character after another affirms the attraction of it, interrogates the meaning of it, and either announces or denounces the goal of pursuing it. Throughout The Importance of Being Earnest, pleasure is identified with escape from conventional expectations and and embracing instead the principle of doing as one likes. For Wilde’s protagonists, the worst result of being caught indulging oneself is the temporary inconvenience of having to come up with an engaging lie (or a wittily phrased truth) to avoid the consequences. This is how audiences knew in 1895 and still know Comedy is a genre focused on pleasure. From the time of the Greeks, it has invited us to engage in the communal pleasure of laughing with others, as well as the sharper,and sometimes darker, pleasure of laughing at the expense of something or someone else. But no comedy in history has been as concerned with the issue of pleasure itself as Oscar Wilde’s The Importance of Being Earnest—a subject to which it is more devoted than Gwendolen Fairfax is to bread and butter and certainly far more than Jack Worthing is to Gwendolen. 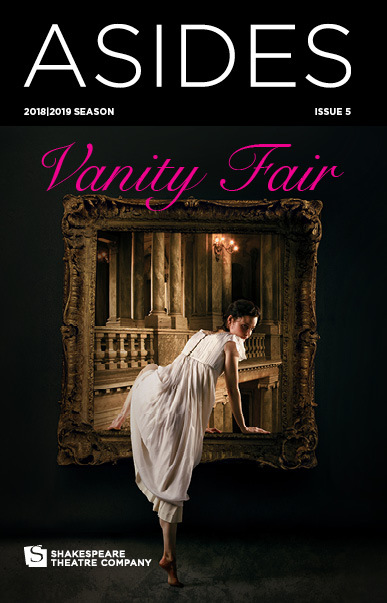 Everything that happens in this play turns on the question of pleasure, as one character after another affirms the attraction of it, interrogates the meaning of it,and either announces or denounces the goal of pursuing it.Throughout The Importance of Being Earnest, pleasure is identified with escape from conventional expectations and and embracing instead the principle of doing as one likes. For Wilde’s protagonists, the worst result of being caught indulging oneself is the temporary inconvenience of having to come up with an engaging lie (or a wittily phrased truth) to avoid the consequences. This is how audiences knew in 1895 and still know today that the playwright has taken them into a world of fantasy. Even the servants get to enjoy their employer’s champagne, and no one punishes or stops them. Throughout The Importance of Being Earnest, the most effective tool to secure one’s pleasure is lying. “I am afraid, Aunt Augusta,” says Algernon Moncrieff with feigned dismay, “that I shall have to give up the pleasure of dining with you tonight after all,” for he must instead hurry to the sickbed of a friend, Mr. Bunbury. His statement is untrue on two counts: “Bunbury” is a wholly imaginary person, and it would be no pleasure whatsoever for him to dine with Lady Bracknell; for a distasteful social obligation, however, Algernon has substituted, moments earlier, the prospect of dinner at his favorite restaurant with Jack Worthing and the very real pleasure of dining at his expense. But when invented illnesses prove insufficient, actual deaths are useful in aiding the cause. Lady Bracknell describes the situation of a recent widow, Lady Harbury who, instead of showing evidence of mourning, “looks quite twenty years younger” and appears “to be living entirely for pleasure now.” The pursuit of pleasure, it seems, is an equal-opportunity temptation for both women and men who are bold enough to dedicate themselves to it. 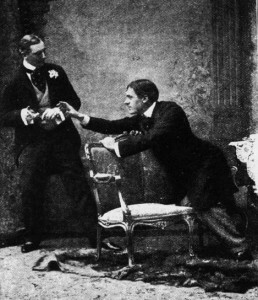 Photo from the original 1895 production of The Importance of Being Earnest. For working-class women employed as domestic servants, loss of reputation could mean being turned out “without a character” and being left to perish on the streets. But for women of the elite classes too, in Wilde’s day, becoming the subject of gossip could mean social death, and only the most daring risked it. 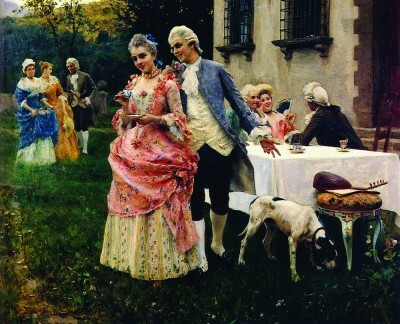 The majority of upper-middle-class and aristocratic women confined themselves to pleasures such as lavish eating, dressing, entertaining, and spending that were consistent with their roles as showpieces. Over time, however, pleasures like these were often indistinguishable from indolence and stifling boredom. A year after the death of Queen Victoria, J. M. Barrie, would mock this sort of feminine idleness punctuated by the buying of luxury goods in his play The Admirable Crichton (1902), with a heroine who yawns from exhaustion after trying on engagement rings and wastes her afternoons in drawing-rooms where the “couches themselves are cushions as large as beds.” No wonder the stage descriptions paint her as seeming “about to go to sleep in the middle of a remark.” If such stultifying leisure was what ladies were offered, then even duties (the running of a household, philanthropic work on behalf of the Church, organizing charities for the poor, etc.) might sometimes begin to look like pleasures. Far more active pleasures were open to gentlemen. They could, without finding themselves cast out of London Society, explore every facet of what the world’s greatest metropolis had to offer. Not only did the West End theatres beckon to them nightly, but so did the music halls—sites of raucous and risqué entertainment frequented by the working classes and prostitutes (female and male alike). Brothels too—whether populated by women, by men, or by underage girls or boys—dotted the landscape and welcomed them, as did gaming establishments and events ranging from prizefights to races. Before and after these indulgences, gentlemen could repair to splendid restaurants such as Willis’s and the Café Royal (which unaccompanied ladies could not enter), or to their clubs, which represented the ultimate gender segregation. When the usual rounds of drinking and playing card games or billiards grew wearisome, and when even the intellectual conversation that was also available to them palled, men could travel abroad, unencumbered by their wives and families. There they could “Bunbury” to their hearts’ content. Oscar Wilde frequently did so, leaving his wife Constance and their two boys behind. What happened on the Continent, stayed on the Continent. This essay is excerpted from the full essay commissioned by STC. Read about the contextual material for all STC mainstage shows in the 2013-2014 Season! Download the Guide to the Season Plays e-book for the Kindle or Nook. Margaret D. Stetz is the Mae and Robert Carter Professor of Women’s Studies and Professor of Humanities at the University of Delaware, is author of numerous books and of over 100 published articles, many of them on Victorian literature and culture. She believes that The Importance of Being Earnest is the greatest comedy of the last two centuries.